The partner report reports on the number of enrolments enrolled into a partner course from a child/client campus. Partners require this report to get analytics on sales of their resources per child campus and department. The Partner Report contains the following filters to help analyse enrolment numbers on your resources. If you want to get an overview of how many enrolments you've had overall for each course, select 'All Campuses'. 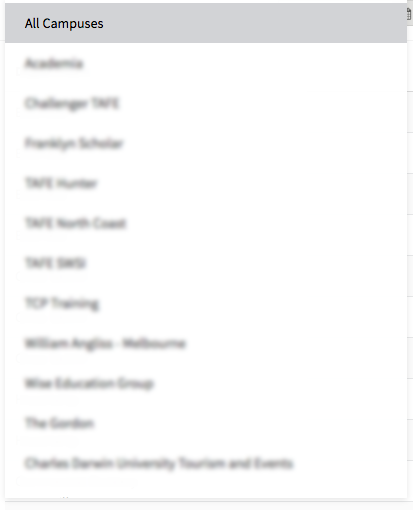 If you require just the enrolment numbers for a single campus, select that Campus from the dropdown list. Partners categorise the content they sell to child campuses through the use of Departments. 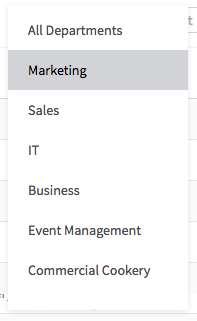 By using the department filter, Partners can get a good idea of which content categories are doing the best. 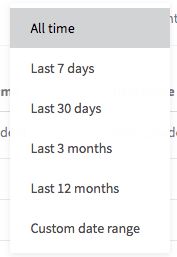 Filter by partner departments allows you to see how many enrolments have been made on resources belonging to each department. When viewing the report, you can see the origin department of each Course, and the number of enrolments on each Course. When you've configured your filters to display the data you're looking for, click the 'Export' button to export the data range as a CSV file.